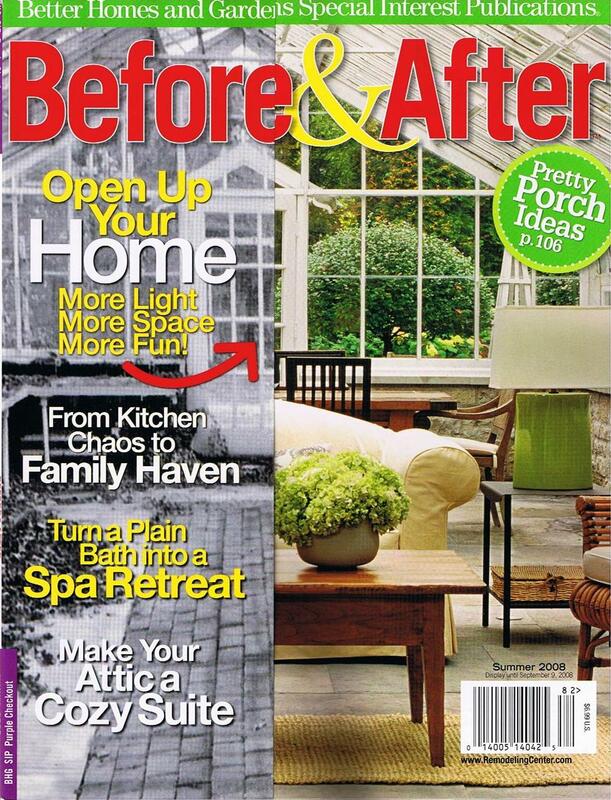 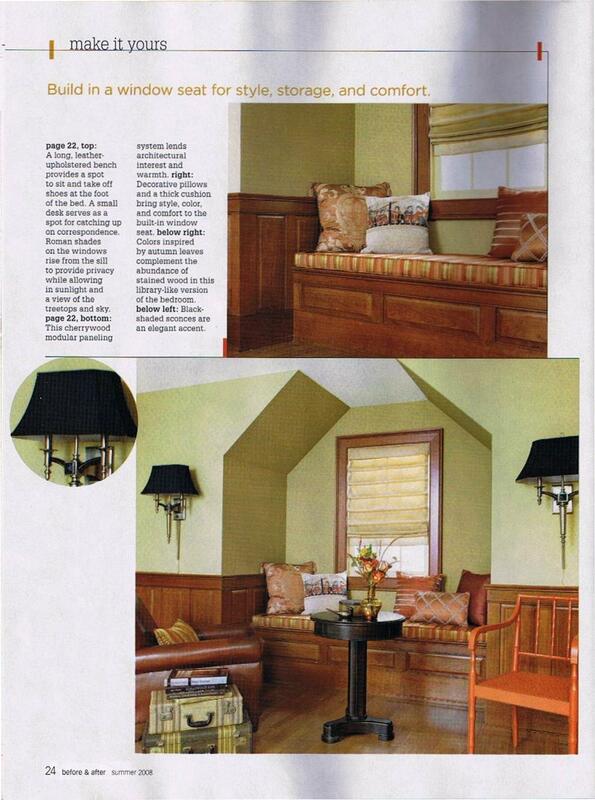 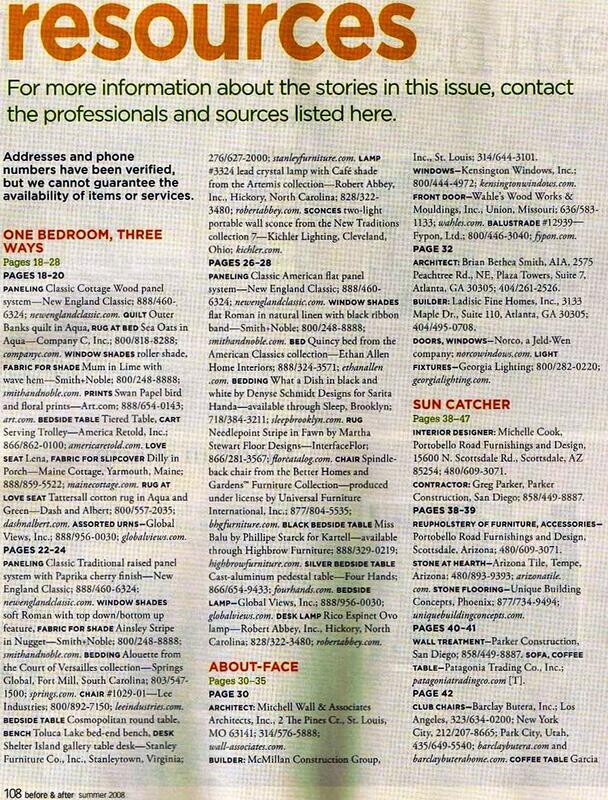 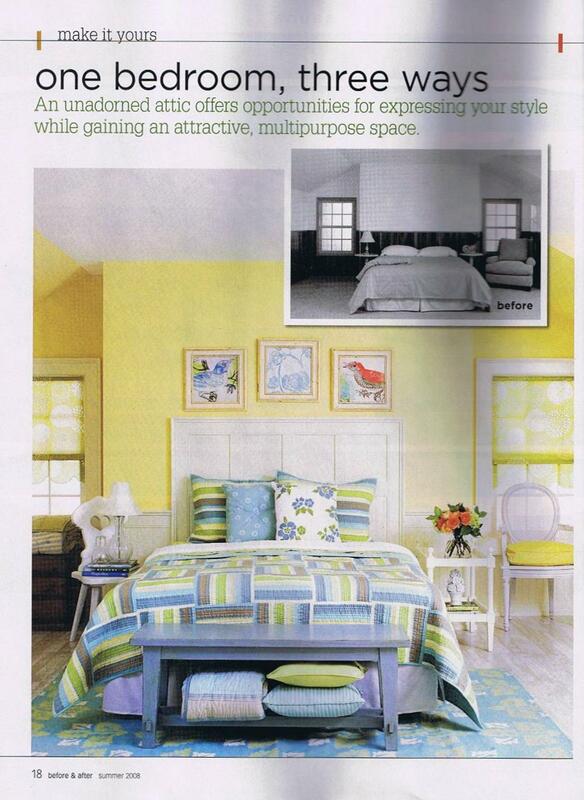 New England Classic wainscoting and paneling products are featured prominently in Better Homes and Gardens' Summer 2008 Before and After publication. 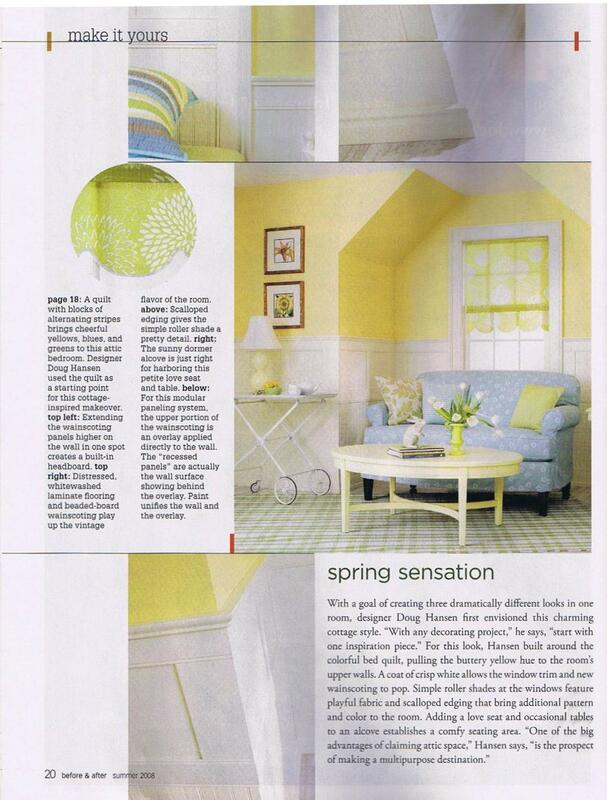 Three panel styles are used to demonstrate decorating alternatives for a bedroom in One Bedroom, Three Ways on pages 18 - 28. 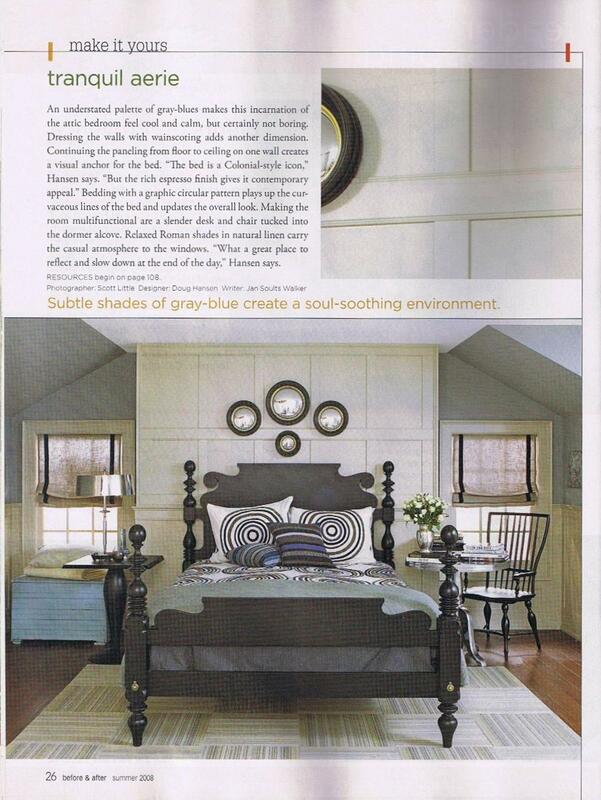 The first alternative uses painted Classic Cottage wainscoting. 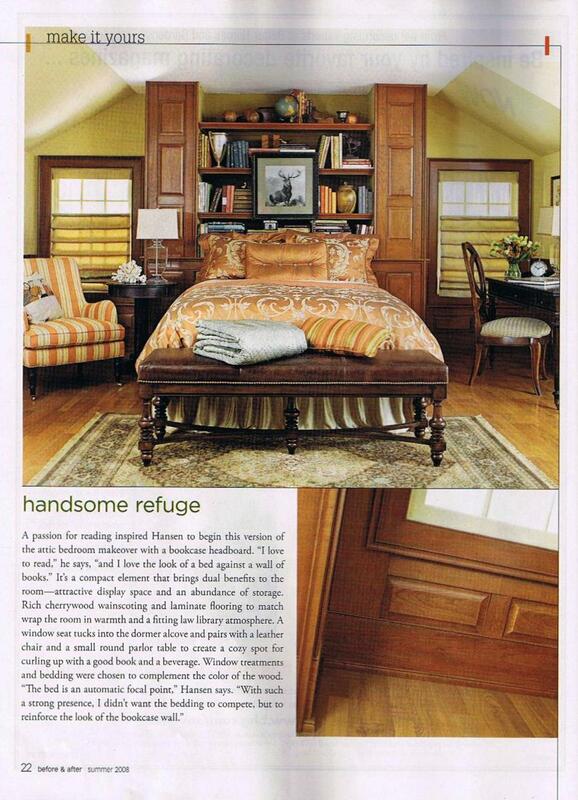 The second case uses cherry Classic Traditional raised panels with a paprika finish for both wainscoting and a paneled window seat. 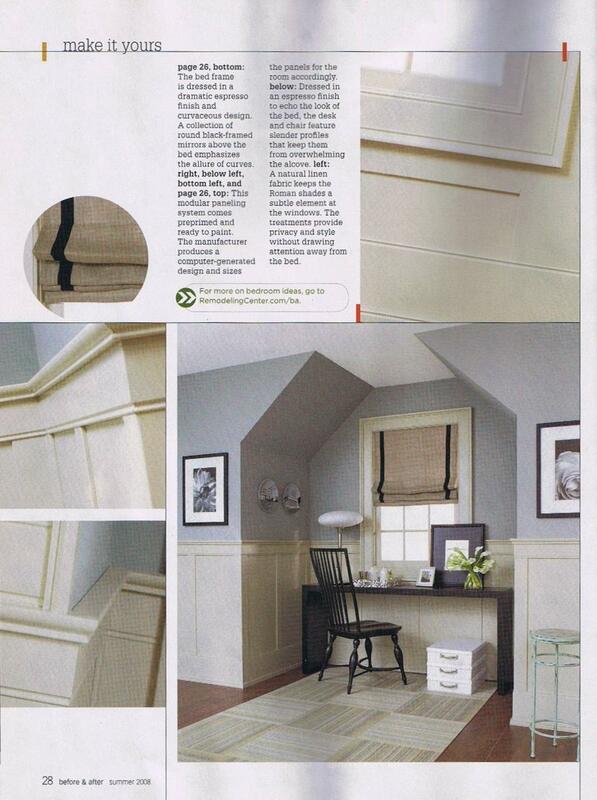 The third alternative applies painted Classic American flat panels and shows a full-height paneled wall as a highlight to traditional wainscoting.